This is Ashlyn as Sally from The Nightmare Before Christmas. Ashlyn's Mom made the Costume from scratch... using no pattern, but only a photo they found on Google. That's REALLY a cool background too Sally/Ashlyn! Thanks Mom and Ashlyn for the great entry! 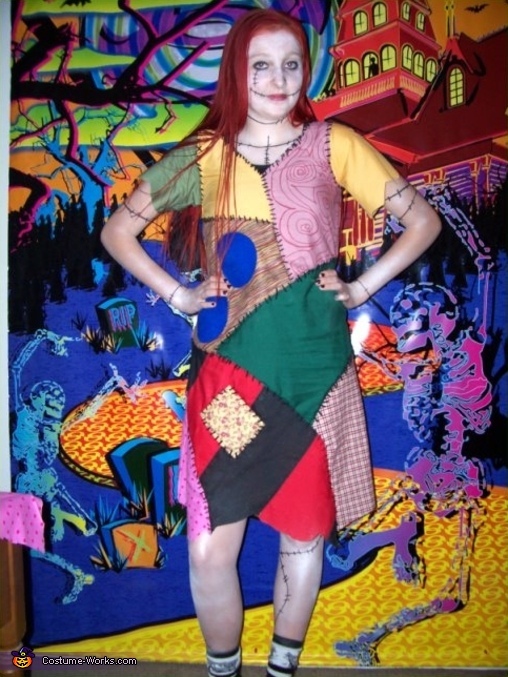 This homemade costume for girls entered our 2009 Halloween Costume Contest.